Anyone who has done business with me over the past few decades knows that we recommended the Microsoft Virus protection that’s built into your PC. Living in Artesia, New Mexico we have the Federal Law Enforcement Training center located here and every Chinese Russian and Other attack on the planet gets thrown at these guys. It takes on average 3 days for a virus to spread around town during the school year and 14 days during the summer. Virus’s designed to steal bank information do so by monitoring your keystrokes on your keyboard. 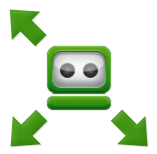 For 11+ years I have used a program called RoboForm to protect myself from your virus’s. What does RoboForm do? It stores your passwords OR it can generate New ones. I have more than 8500 websites that I may use once a year and having strong passwords that one site doesn’t know my password to another site is important. Storing a file on your desktop called PASSWORDS well you know who you are. TSSK TSSK. I have asked RoboForm for years to give me an installers software so I can just give away the software as part of my clean up’s and restorations. They haven’t complied but they recently gave us a sign up link. Which in my opinion is about the laziest way to partner with companies than can grow your business. It is what it is. But you can add it to your phone as well as your computer and look up a password while out and about and I find that feature useful at times while the app is hard to navigate you can get what you need when you need it. I buy it. I use it and I recommend it. You will only have to remember ONE password to have 1000’s of passwords and since it now works with EDGE browser I can post the link. I am not supporting their software if you have problems you need to ask RoboForm. But I haven’t ever had a problem with the program. Currently, RoboForm is offering 6 additional months of RoboForm Everywhere service FREE when you pay for your first subscription.